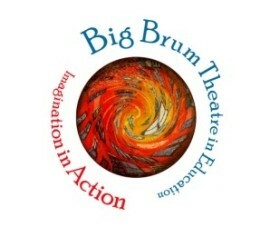 Big Brum TIE seeks to provide the highest quality theatre in education programmes for children and young people across all age ranges and abilities, in schools, specialist units and colleges in the West Midlands. As practitioners we proceed from the premise that children are not undeveloped adults but human beings in their own right, with specific experiences that go to the heart of being human. Art is a mode of knowing the world in which we live and the Company uses theatre and drama to work alongside young people to make meaning of their lives and the world around them.